“Watch Dogs” revolves around a brilliant hacker bent on revenge and inflicting his own brand of justice after a violent family tragedy. In the game, he hacks into Chicago’s Central Operating System, which controls the city’s infrastructure, including security cameras, traffic lights, and public transportation, as well as databases containing key information on the city’s residents and turns the city into his weapon. The “Watch Dogs” game bows Nov. 19. 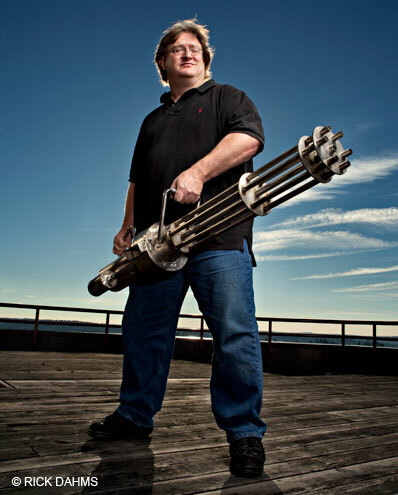 Gabe Newell was going blind. The founder of videogame seller Valve suffers from Fuchs Dystrophy, a congenital disease that slowly destroys the cornea. “I have dead-people eyes,” he said at the time. Double cornea transplants in 2006 and 2007 cured him and changed him utterly. Nintendo DS:Changing the rules of the game? Video gaming is a cyclical industry in which new consoles are launched every five or six years. In the last cycle, which began in 2000, Sony’s PlayStation 2 emerged as the clear victor, far outselling Microsoft’s Xbox and Nintendo’s GameCube. The next cycle will pitch Microsoft’s Xbox 360, launched last year, against the PS3 and the Wii. With each cycle the power of the hardware increases, making possible better graphics and more complex games. But Mr Iwata believes the industry has reached a crossroads: by designing products for existing gamers and neglecting non-gamers, it undermines the prospects for future growth. There have even been signs in Japan that the market was starting to shrink. “We need something radical to change the situation,” says Mr Iwata.